Dentists are licensed medical professionals. As such, they are legally obligated to provide patients with an adequate level of care. The failure to do so is medical malpractice and it can cause tremendous damage to the victim. Unfortunately, dental malpractice remains far too common in Florida. Dental procedures go wrong more often than most people realize. In fact, a study from the American Board of Legal Medicine found that nearly one in every seven medical malpractice claims is filed against a dentist. Negligent dentists must be held accountable for the damage they have caused to innocent patients. 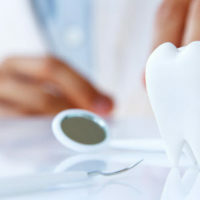 If your dentist botched your procedure, and you suffered any damage as a result, you need to get your case into the hands of an experienced Tampa medical malpractice attorney as soon as possible. What was the standard of care that was owed to the patient? Did the dental professional breach the standard of care? Was there a connection between the dental professional’s breach and the patient’s injuries? How much harm did the patient suffer? What Compensation is Available for Dental Malpractice Victims? On top of being extremely painful, dental malpractice can cause long-lasting, even life-altering, damage. At Pawlowski//Mastrilli Law Group, our Florida medical malpractice lawyers work aggressively to help victims recover the compensation they deserve. If you or a loved one was a victim of dental malpractice, please reach out to our office today at (813) 242-4404. We offer free case reviews and we do not collect legal fees unless we help you recover compensation. Our firm serves victims throughout the Tampa region, including in Apollo Beach, Land O Lakes and Clearwater.